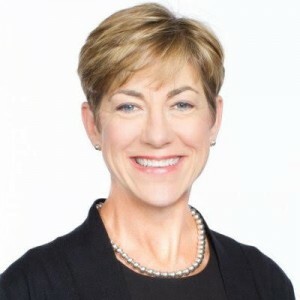 Hawks later landed at Musicland, where she led the full gamut of communications—investor relations, public relations, employee communications, earnings releases, annual reports, investor reports, etc. Soon after, when the company was acquired by Best Buy, she was invited to take a leadership role in Best Buy’s communications department. She enjoyed some “phenomenal” experiences over the 12 years she worked there, including launches that involved The Rolling Stones, Bill Gates, Usher, and other pop culture figures. 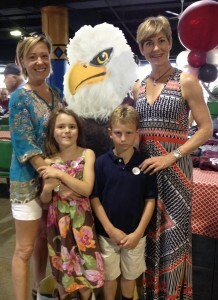 Lisa and Andrew Hawks pictured with Ann ’96 and Tilly Webster at Auggie Night at the Races at Canterbury Park. Asked often about her management style, Hawks believes it can best be described as coaching, stemming from her experience at Augsburg. She says Augsburg was a fabulous place to play sports, and she feels lucky to have had excellent coaching from Marilyn Florian and Mary Timm, and to have played with driven student athletes who performed beyond what they thought possible. Hawks was a three-time All-MIAC pitching selection in softball, earned AIAW All-State and All-Region honors twice, and All-West Region honors. A member of the team that won the Minnesota AIAW state softball title in 1982 and 1983, as well as MIAC championships in 1982, 1983, and 1984, Hawks holds the second-best record in Augsburg history for both her 1.35 career earned run average, and for her 47 pitching wins. In volleyball, she earned All-MIAC honors in 1984. She served as captain of both teams and was named Augsburg’s Honor Athlete in 1985. Appropriately, she is a member of the Auggie Athletic Hall of Fame. Hawks sees the College as a “pillar of faith,” one of the reasons she chose Augsburg and why she continues to be involved. 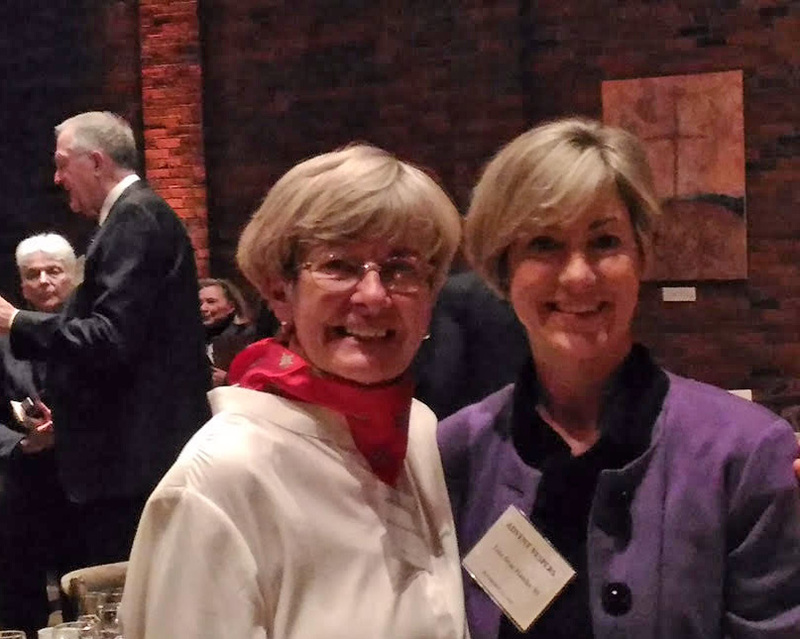 She served six years on the Alumni Board and is a founding member of AWE (Augsburg Women Engaged). She recalls hosting one of the first focus groups in her home to ascertain what form AWE could take. She and other founders discovered that the wishes were as varied as the people who attended—yet very specific. Some wanted to give back, others wanted to help students, others wanted to connect and donate money or time. AWE has opened the door to all sorts of involvement, and women may opt in as they see fit. Currently, Hawks is vice president, external communications, for United Healthcare, where she feels her retail experience is serving her well. She is focused on helping simplify the complicated healthcare landscape for the consumers so that they can live healthier lives. In her spare time, Hawks enjoys gardening, cooking, and playing golf and other sports. 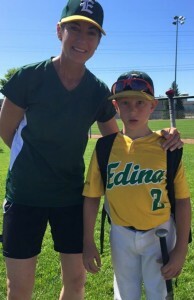 She also enjoys coaching her 10-year-old son Andrew’s baseball team, which she has done for the past three years. 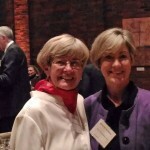 Hawks’ corporate success is likely related to her love of confronting a challenge, and she offers three insights that have guided her: (1) Find something you care about and see where you can contribute, (2) Surround yourself with people from whom you can learn (she benefits regularly from her “Board of Mentors”), and (3) Lead with humility and integrity, and then be proactive about using what makes sense to you. Apparently, that has worked very well for her!